We have been operating in Barcelona since 1998, where we provide professional services regarding reputation and communication consultancy to major domestic and multinational companies based in Catalonia, a number of which are currently experiencing considerable growth in Spain, Europe, Latin America and United States. In June 2018 we acquired Arenalia, a leading communication consultancy in the areas of Consumer Affairs, Digital Brand and Lifestyle. 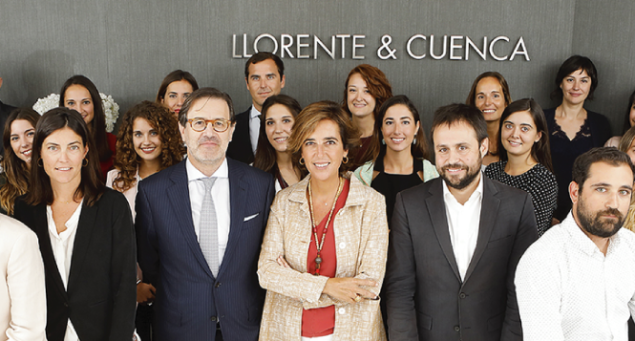 As a result of this operation, LLYC Barcelona has consolidated a team of more than 50 professionals and doubled its corporate space by refurbishing a new office located on the floor above the current one, exceeding one thousand square metres. Our clients in Barcelona are mainly major institutions in the financial sector, insurance, energy, technology, industrial, sharing economy, pharmaceuticals, tourism and services companies. We are currently working for Coca Cola, Argal, Singapore Airlines, Panasonic Europe, Volkswagen, Renta Corporación, Crèdit Andorrà, CaixaBanc, Santander, DKV Seguros, Roca Junyent, Cirsa, Axis Corporate, NTT Communications, Disney, AdQualis, Drivy, Hays Group, FCBarcelona, Mèmora, GSK, Fundación FCBarcelona, Fundación Port Aventura, Bayer, Ipsen, Miura Private Equity, BIC, Gastech and Proactiv. With the incorporation of Arenalia, we also provide services to companies such as Vans, Hotelbeds, Harley-Davidson or Ficosa. The field of CSR and Corporate Foundations should be highlighted in particular, because all global operations of these unit are headed by from the Barcelona office. In this field, we have developed a range of tools for application to the efficient management of sustainability aimed at optimising operations in these areas through dialogue with the various stakeholders. In this field, we have developed a range of tools for the efficient management CSR enhancing dialogue with stakeholders on these specific areas of corporate policies. The Barcelona office also leads the Health and the Pharmaceutical Industry. In this regard, we have significant working experience in various sectors of the health industry, such as the pharmaceutical, hospital operators, medical teams, medical publications and the application of health-related messages to products and services. In Barcelona, we offer a personalised and efficient service to our clients based on extensive knowledge of the local Catalan market while offering great capacity to operate nationwide through our Madrid office and internationally through our operations in Portugal, Latin America and United States. All this makes us an excellent team for our close relationship with clients, and our capacity for innovation and influence, both for large companies and firms as well as for SMEs and startups.